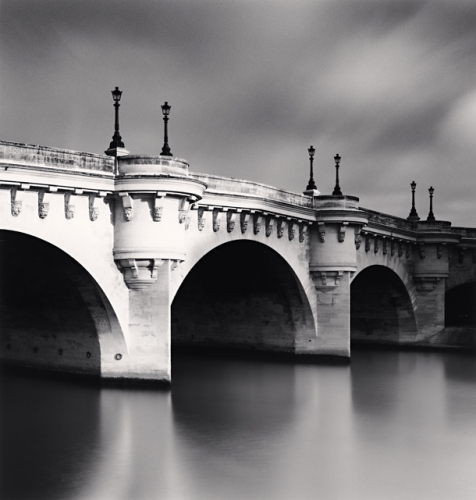 This month, our featured guest photographer is the exceptional professional photographer, Michael Kenna! We greatly appreciate his time, and thank him for answering our questions and sharing a few of his wonderful images with us! 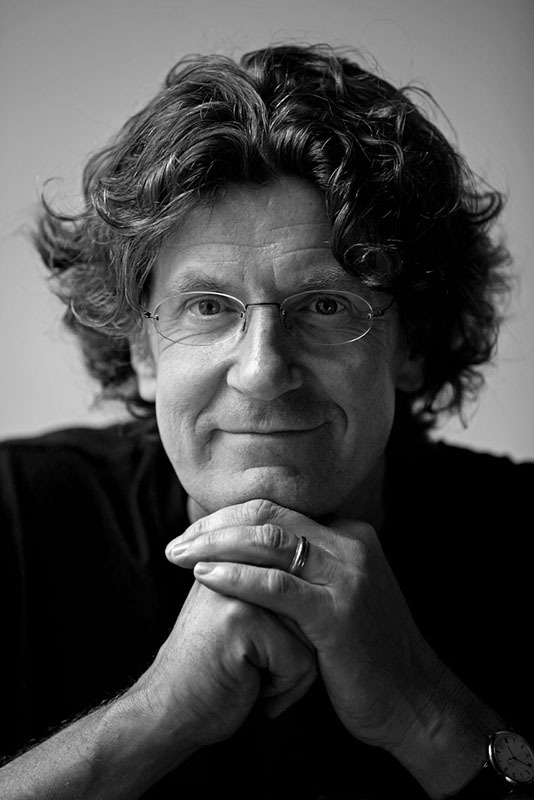 Please visit his links to see more of his inspiring work, and to let him know you enjoyed this interview. The idea to become a priest was very much a boy thing. I had served my local church as an altar boy for as long as I could remember and greatly enjoyed all the rituals associated: baptisms, weddings, masses, funerals, etc. At ten years old, being a priest seemed to make complete sense for many reasons. As I grew into my teens, however, I realized there woud be certain limitations to that career. I had always had the proclivity to doodle, draw and paint creatively, and I was interested in the history of art from my school studies. There was little career guidance in a seminary school so I naturally followed my strongest area of interest and fortunately ended up at the Banbury School of Art, where I first studied photography along with painting, pottery, graphics and other media. After that I specialized in photography at The London College of Printing. :: You mention in other interviews you had some skill in painting and drawing, and through art school, I'm sure a good background on Art History as well. How does the painting side, and surrealism paintings, influence the way your mind composes photographs? 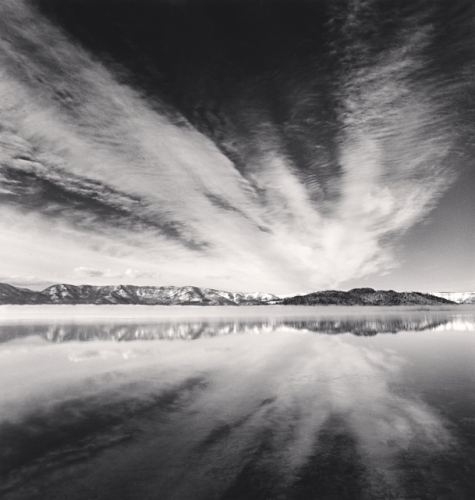 Are you more influenced by painters or photographers? I suppose one is influenced by all experiences and studies, art history has certainly played its part in my education, and so has studying other photographers' work. I like to think that we are open to all influences, particulalry those from our childhood upbringing. I am convinced that we all have our own uniqueness. I think it is the combination of influence and self awareness which produces individual and personal work. The photography world is rife with copies, because they are easy to do these days. How wonderful it is to occasionally find an artist who looks within for their inspiration. :: Your career has spanned four decades, and I think anyone who knows anything about the history of photography would certainly list you among the top in the field. You're very much somebody who focuses on the now, rather than think too much about the future, but do you ever stop to ponder your importance and influence in the medium? The future is irrelevant to me except for my continued ability to take care of my family. Of course, I would hope that my images outlast me, and that they are and will continue to be somehow a force for good in the world. The rest I leave for others to worry about. :: Your work has taken you all over the planet, and is much more intimate than what most people might consider in landscape photography. When you select the places to photograph, what draws you there? I like what Garry Winogrand wrote: "Photographing to see what something looks like photographed." I don't do any elaborate preparation before I go to a location. Essentially I walk, explore and photograph. I never know whether I will be there minutes, hours or days. For me, approaching subject matter to photograph is a bit like meeting a person and beginning a conversation. How does one know ahead of time where that will lead? Certainly, a sense of curiosity and a willingness to be patient to allow the subject matter to reveal itself are important elements in this process. There have been many occasions when interesting images have appeared from what I had considered uninteresting places. The reverse is equally as true and relevant. One needs to fully accept that surprises happen. I'm very aware of two dimensional patterns, abstractions and compositions. I seek out what is interesting for me, out there in the three dimensional world, and translate/interpret so that it becomes visually pleasing in a two dimensional photographic print. It's hard to define exactly what I photograph (and I'd rather not even try) because subject matter constantly changes. Power stations, trees, seafronts, industry, bridges, etc., all feature prominently, but, the essence of the image often involves the basic juxtaposition of our human made structures with the more fluid and organic elements of the landscape. Having said that, sometimes I photograph pure nature, so this is not a specific description by any means. :: You use digital at times for commercial assignments, and in approach and execution I think anyone can see the style of your personal (fine art landscape) work reflected in your commercial projects. (My first thought is the Jeep Series, and I might add, is simply amazing in terms of a car ad, which also happens to be in color.) How do you blend fine art and a commercial project? I would think when you have total control over subject, your mind works a certain way. When someone says to do what you do, BUT add a commercial product, how does that process evolve in your mind? One of the reasons I chose a career in photography was the possibility that I could survive doing a mixture of commercial work and my own landscape work. In the early days I had no idea that one could exhibit and sell photographic prints. I was trained as a commercial photographer at the same time as I passionately pursued my "hobby". Of course, there are differences between photographing for oneself, and for a client. I greatly enjoy the process of being out in a landscape alone, listening, thinking and exploring subject matter. On a commercial assignment I might have a few dozen people with me. There are time limitations, I will probably have a specific task, and the landscape is usually secondary to the product, there is also the financial side of things to consider - many people might have traveled to be there for this photo session and I as the photographer have to come up with the image. The whole situation is a lot more stressful to put it mildly. But perhaps therin lies part of the challenge - to think and photograph creatively, to use all the experience one has gained and be able to perform, right there and then, with an audience and within time constraints. One of the greatest benefits for me of doing commercial photography is that I have been able to gain access to locations I might never find on my own. Most of my clients are smart enough to give me some time to "do my own thing". It is often the images made before or after the predictable and planned shoots which are eventually used, either by the client or myself, as they can more spontaneous and interesting. :: Social media and the whole Internet marketing world is something you don't seem to have embraced. I'm curious your thoughts on those platforms, what if any have you used, or whether you even see a need to incorporate it into your workflow? The social media world is a bit unknown to me but fortunately my assistant Mark Silva is more attuned to it. 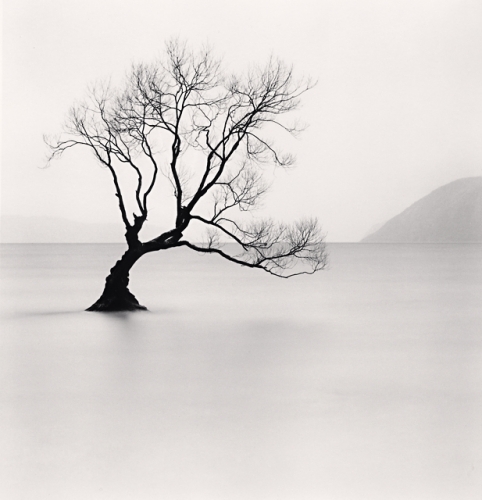 We recently had a Michael Kenna Photography Facebook fan page put up and there are now about 14,000 fans. I'm not sure what it all means, though! I don't have anything against social media but I find my days are already full, and I can't even keep up with emails, so I haven't, and probably will not, embrace further [online] socializing. I much prefer to be out photographing or in the darkroom printing rather than looking at the phone or computer. :: I have noticed that subjects you seem to photograph are very simple in that they are places many photographers might walk by and simply not see the potential. When you're in a new location, do you walk around without a camera and look for subjects, and what catches your eye first? Do you then set to see it in different times of day to see when you might want to photograph it? Do you have a list of places that have potential, but need another ingredient or element before you can photograph them? When I am photographing, I am constantly looking for potential. There are probably many hooks. Subject matter certainly - I am drawn to personal areas of interest based on my experiences and who I am. Patterns, shapes, graphics attract me. Drama, atmosphere, mystery, beauty. Elements, weather conditions, movement. Character, memories, traces. It's a matter of personal connection and resonance. What appeals to me doesn't and shouldn't necessarily appeal to another photographer, and vice versa. :: You do a lot of your photography at night, and sometimes in very isolated areas. Do you ever have any safety concerns, or any issues with security people kicking you out right in the middle of an exposure? What's the scariest thing that has happened to you while on a night shoot? :: You've developed a comfort level with your gear over the years and from shooting film and knowing the process. Do you ever take along a digital camera to experiment with compositions or ideas before committing the shot to film? I find it difficult and frustrating to operate two camera systems at one time so I rarely take along anything other than film cameras. Recently, in Australia and New Zealand, I experimented a bit with digital at the same time as using film. It wasn't wholely satisfactory but the 35m format is a change from 120 and I was able to capture some images in digital that I couldn't, or at least didnt, on film. I may well be forced into eventually going digital so I have to make some preparations, but right now I am comfortable with my traditional process. It's a bit slow but I like that. :: Do you ever look at any of your images of more well-known places and scrap them because they might look too much like what the masses might produce? Most tourists and amateur photographers have an automatic camera or three these days so if I became intimidated by what others might produce I'd probably freeze in my tracks. Realistically, I have often lined up to photograph with hundreds of other photographers at well known sights, particularly in China. I've photographed such chestnuts as the Eiffel Tower, the Giza Pyramids, the Empire State Building and the Golden Gate Bridge - I dont have a copyright on these well known places! But, I feel there is always the potential to produce something personal and original. At least I try. Of course, I dont print everything. If an image is too derivative then it will probably be filed away and never printed. I'm sorry to upset your vision but I'm really poor at documenting family vacations and I prefer not to even have a camera at social functions. Occasionally I photograph family with a Holga - but then I hardly ever get to print them. There are enough cameras around that I'm happy to delegate this sort of photography to others. :: A lot of your work centers around the landscape, but often it's blended with some kind of man-made portion as well. What is it about that relationship between the natural and unnatural that you find compelling? One interview I read you mentioned that some of the subjects you found interesting dates back to childhood walks through your hometown in England. Can you expand on what you saw as a child that stuck with you and you have found becoming a theme throughout your career? My consistent interest over the years has been about the relationship, juxtaposition, even the confrontation between the landscape and structures that we place in it. Memories, traces, footprints, the latent atmosphere of a place, these are my true subject matter. Empty sports stadiums, old mills, abandoned structures and seafront buildings that have been built for our activities. When they are not being actively used, they can be strangely surrealistic, atmospheric and mysterious, and that fascinates me. I've never thought to question why, it just does. :: There is usually a feeling of isolation, (in both a very literal and surreal way) in your subjects. Is that a mood that you're trying to convey to viewers? Our world is fast paced, noisy, colorful, full of distractions. In my work I try to provide something of an oasis, a place of rest, perhaps to meditate for a while. Calm, solitude, a moment to breathe - these are all aspects to the work. I photograph pathways, plank walks, bridges - invitations for a viewer to wander. Usually, there is no obvious destination. It is up to the individual to find their own way, to use their own imagination, to create their own stories, dramas, tragedies, comedies, etc. I often use a theater analogy. Before actors appear on the stage, or before a concert begins, there is a certain atmosphere of anticipation. I enjoy that and it is fertile for our own creativity. Once the characters appear or the music starts, we are led into somebody else's story. After the performances, memory lingers and again our minds can be very active. My imagery is about the mood and atmosphere before, after and between events. The idea of being different for the sake of being different doesn't appeal to me. Over the years I have experimented with many different size prints, formats, surfaces, etc., but I usually return to what I feel is most appropriate to my vision. In the early seventies my prints were smaller. In the eighties they were much bigger for awhile. However, I have always returned to my preferred size of about 7-3/4 x 7-3/4 inches. I like the intimacy of this scale of prints. I feel that it encourages a more personal and private conversation between the viewer and the image. One has to get quite close to the print to really explore and experience the picture. And maintaining this consistency in size over the years has allowed my growing family of images to all sit comfortably next to each other - an image from 10, 20, or 30 years ago can happily accompany a new sibling from 2013! I like that. :: You have a saying I quite like, "Fortune favors those who work hard." What part of the process for you is the most difficult for you now as compared to when you began? I think the physical aspects of photography are becoming more challenging. Perhaps at sixty years old I am not quite as agile as I used to be. I find that I need to regularly work out in a gym in order to be able to have the stamina and strength required to photograph for long periods of time with heavy Hasselblad film cameras. I walk a lot to explore and find locations and a backpack of cameras and tripod is quite heavy! But, the bane of my life is getting film through airports! That seems to get worse and worse as film increasingly becomes an unknown quantity for security people. Overall, I would say that not a lot has changed in my approach to photographing. I'm still as passionate and enthusiatic about it as I ever was. :: You do a lot of longer exposures in light that can be tricky. Do you ever use any filters in the field? I often use neutral density filters during the day time to increae the length of exposure and occasionally I also use red or orange filters to change the contrast and tonality of the image. :: You sometimes spend a lot of time in a particular location over the course of years, Hokkaido for instance. What about that location in particular keeps you returning? Listening to you speak about the trees tehre, almost as a portrait photographer would, I wonder, do you find with your subjects that you feel you have to return to them over and over just to document them as they age? I treat my subject matter like friends and family. I like to revisit to keep the connections. When I see a beautiful tree I want to make a photograph, a portrait. When I stumble on something that emotionally touches me, has a resonance, whether I know why or not, I want to make a photograph, which for me is a collaboration, the start of a relationship. Change is something we can count on. I change, the conditions change, the subject matter changes. I am fascinated by that process and enjoy returning to experience and record those changes. :: I watched a video of you in Hokkaido, and while it was snowing HARD, you were right out there shooting in the weather. I've heard you say that you enjoy the imperfections of doing everything manually, from shooting to the printing. I assume weather is a part of that. How much do you try to keep your lenses clear, and do you let the weather on the lens be part of the image? I find rain to be a problem unless I have an assistant with a large umbrella. It's difficult to keep rain spots off the lens and they dont look so good on the image. Snow is not a great problem as I make long exposures and often clean the lens a number of times during the exposure. The resulting image often has a misty, soft feel about it, which I like. Technology is constantly advancing to make everything sharper, faster, clearer, etc., which I understand, but my process involves slowing things down and allowing spontaneous events to develop. :: The first series I ever saw of yours was the power stations in England. What was it about those structures that drew you to photograph them, and was there a part of you that wanted to make something I'm sure many people found to be an eyesore into something beautiful? Early on in my photographic journey I would photographic the beautiful landscape almost as an escape from my urban industrial background. I felt that Art should be somehow above and beyond the common everyday environment in which I had grown up. As time progressed I began to view things differently. Art and beauty is very much in the mind and vision of the beholder. I first saw the Ratcliffe Power Station in 1983 as I was driving up the M1 motorway to photograph in the industrial northwest of England. Clouds of steam could be seen from a distance, and then the power station emerged, with its eight massive cooling towers arranged in two rows. Ratcliffe sits in an idyllic countryside setting. I remember feeling a curious mixture of interest, excitement and unease - emotions remarkably akin to those on my first viewing of Stonehenge. I began to photograph from a distance, gradually circling and getting closer. I was simultaneously attracted and repulsed. On the many subsequent visits to the station, and when eventually I was able to photograph inside, I was awed by the sheer magnitude of the place, and its brutal ferocity, particularly during the night. Ratcliffe seems like an immense monument to 20th century technology, a giant stage set with radical changes in mood and atmosphere, a Metropolis in its own right. Thirty years since this first encounter, Ratcliffe continues to generate power, and I continue to photograph there, still fascinated, still a bit worried! :: Photography has grown a great deal in popularity since you began. What do you like to look at from today's photographers? What trends, if any, cause you to be concerned with where our medium may be headed, especially in terms of landscape photography? Frankly, I dont really spend a great amount of time looking at other photography. My general feeling is that everybody can be a photographer these days because it requires little or no technical training or experience to be able to produce technically perfect images. Images are ubiquitous, as are digital apps and photo finishing programs. I think there used to be a feeling that the camera doesn't lie and that there was an inherent connection to reality, which made it unique in the arts. That has certainly vanished for me. Photography has greatly transitioned since I started. I have no criticism or judgements about that. I just haven't had the time or the inclination to keep up! It is amazing to me, and immensely satisfying, that creative and unique work is still being produced. :: Can you talk a little about your recent Shinan project? What was it covering, and why did you choose South Korea? I watched the video on it, is there a longer movie being made regarding your photos? I've been photographing in South Korea for many years now. I suppose it cvame out of my earlier travels to Japan which began in the eighties. I particularly love the Japanese sense of aesthetics. It's difficult not to be influenced by its sense of serenity, tranquility, pureness and simplicity of design. It harkens back to the essence of haiku, the power of suggestion over description. I've also looked at Japanese and Chinese calligraphy and sumi-e painting, and of course, zen. After photographing in Japan for some years I began to explore China, India, Korea, Thailand and Vietnam. Korea has been particulalry fascinating for me. Shinan is an archipelago of 1,004 exquisite and unspoiled islands situated in the South West of Korea. For a landscape photographer it is a cornucopia and I was able to visit four separate times to photograph. It's a very special place where time seems to slow and almost stop. Days and nights come and go. The sun rises and sets on endless, expansive horizons of water. The moon waxes and wanes, and the sea's tides inexorably ebb and flow, the earth's heartbeat since time began. There are seaweed and crustacean structures set up around the shorelines. Salt farms stretch far into the distance. Hills and forests inspire long hikes. Beaches and mud flats invite calm introspection and quietude. Shinan encourages us to slow down and appreciate our world. I love that! While I have been photographing, a documentary was also being made, of which I was a part. I believe a video will be produced this year. :: What advice would you like to pass on to those wanting to get started in the field today, given the new levels of competition and market saturation? Photography is such a broad area. The fact that we all use cameras doesn't mean that much. I think it is important to look inside oneself to see where the interest is - fashion, documentary, fine art, still life, weddings, landscape, sports, there are so many areas which don't have too much in common. The technique of photography becomes easier and easier. More and more becomes automatic. So what will materially differentiate one photographer from another? Why is one musician different from another? How does one writer become popular and most don't? What makes a dancer stand out above the rest? Nobody really knows. I have few words of wisdom for up and coming photographers except general advice. Practice. Try to tap into what makes you unique. Be passionate about what you do, and do it to the best of your ability. Work extremely hard. Practice. Be positive and open. And don't try to be like somebody else, another photographer. You may need to copy other photographers to get going and find your own voice. But, ultimately, there is always something that separates you from the others. Practice. Learn from other photographers by all means, but think about what YOU enjoy and connect with, follow your own muse, find your own vision, and have fun in the process. Practice. Optimism, patience and openness help. A degree of curiosity also goes a long way. An acknowledgement that the process is about collaboration – rather than ego - has served me well. I could go on an on... oh, and practice! "The future is irrelevant to me except for my continued ability to take care of my family. Of course, I would hope that my images outlast me, and that they are and will continue to be somehow a force for good in the world. The rest I leave for others to worry about."